Our brand Silhouette came from the jewellery factory of Oscar Bentner which was founded in 1893. Today we are producing the fourth generation of high quality, innovative real jewellery and specializing in small series. The city of Pforzheim, also known under the name “Goldstadt”, celebrated its 250-year Jubilee of the home of the jewellery industry. Especially, in the 19th century, during the so-called founder time, the city experienced its peak and advanced to become the leading center for jewellery production in Europe. In succession, many cunning minds, craftsmen and designers moved to Pforzheim from inland as well as from abroad. In 1893 my great-grandfather, Oscar Bentner, became self-employed and founded his own jewellery manufacturing company. He was able to rely on well-trained experts, goldsmiths and jewel setters from the region. Oscar Bentner's jewellery company supplied Germany and the bordering countries, especially the wholesale jewellery trade with high-quality and at the same time affordable creations for many years. In the 1980's my family decided to establish its own brand, under the name “Silhouette Schmuck” to work directly with jewellers and specialists. Since 1995, I lead the company in its fourth generation of business and have successively developed the collections. 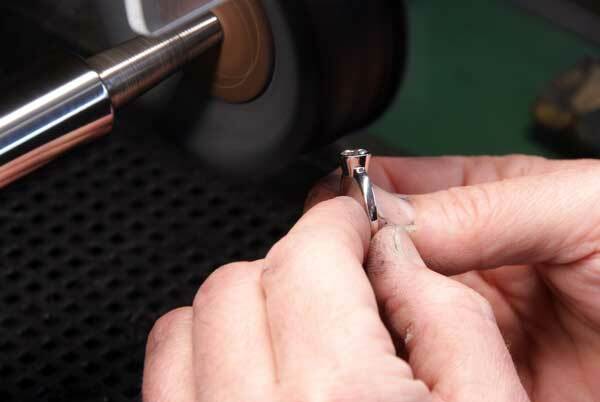 We stand for high quality real jewellery and specialize in the production of small series, which are often individually designed and produced for the current customer. 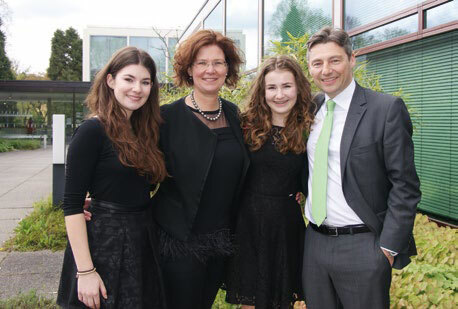 Dr. Silke Bentner and Arnd Bentner with their daughters, Annika and Katinka. We rely on a well-anchored regional network of experts and the know-how of the region. Well-trained designers from the University of Jewellery, specialised suppliers for the jewellery- and medical techniques, as well as professional craftsmen and goldsmiths make it possible to create extraordinary jewellery pieces over and over again. In 2016 we joined the Jewellery-Quality Label, “Made in Germany. ” This guarantees that at least 70 percent of the labor time for a product occurs in Germany. Our incentive always remains to create affordable luxury products. The art of doing this is to sense market trends, know the needs of the customers and bring these together with the technical realization of new ideas. We are always happy, when we succeed in combining technically innovative jewellery pieces and sophisticated designs to inspire our customers.